This video was made in 2011 and shown in the exhibition, “Heat Island,” curated by Natalie Campbell, at Smack Mellon, in Brooklyn, NY. 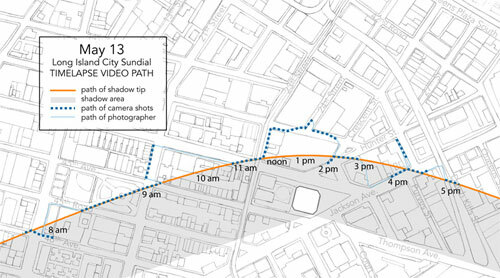 Time-lapse animation of the sundial on May 13, 2007, from the point of view of the tip of the shadow. 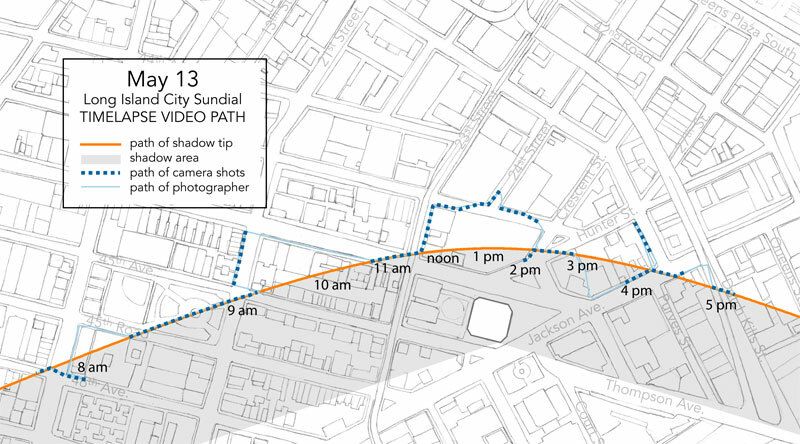 Below the 52-second video is a map of the path of the camera around city blocks.